Home / Who is Cam Cleeland? Drafted twice by Major League Baseball, Cam played Football and Baseball for the University of Washington. He was an All-American tight end and was selected in the second round of the NFL Draft by the New Orleans Saints. He was runner up for rookie-of-the-year to Randy Moss, earned Pro-Bowl honors and went on to also play with the New England Patriots and St. Louis Rams during his 8-year career. After retiring from the NFL, Cam regularly appeared on radio and TV in Seattle and Portland before becoming the fulltime host of Dusty and Cam in the Morning on 1080 The FAN. 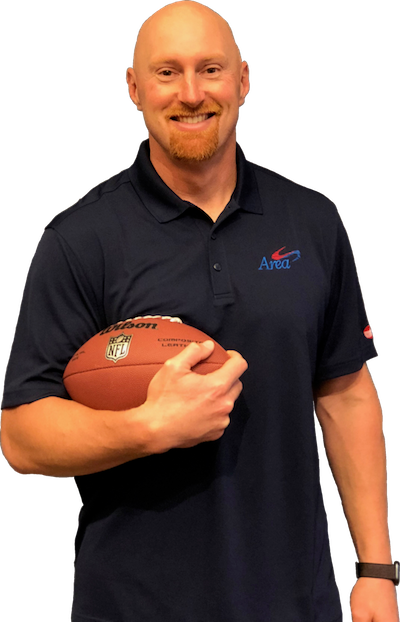 Along with hosting a top-rated sports radio show, Cam currently enjoys coaching youth and high school sports, spending time with his wife and three kids, and playing golf and music.